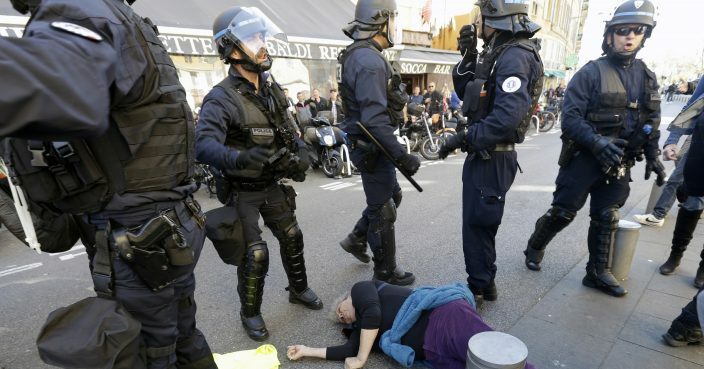 French President Emmanuel Macron has told a newspaper he hopes a 73-year old yellow vest protester who suffered serious head injuries after being charged by police in Nice, gains "wisdom" over the incident. Anti-globalization activist Genevieve Legay remains in hospital Monday after police advanced aggressively on people defying a protest ban Saturday. An Associated Press reporter saw Legay, who was waving a rainbow flag marked "Peace," fall to the pavement, blood spilling from her head. 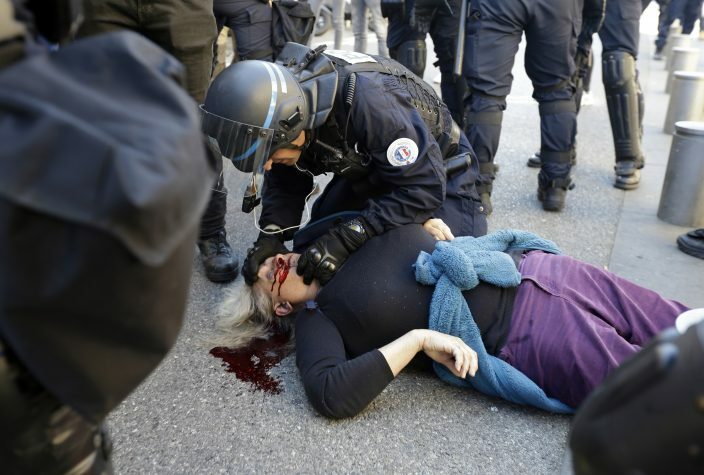 In an interview published in Nice Matin Monday, Macron suggested Legay didn't behave "responsibly," saying that "fragile" people shouldn't attend "places that are defined as prohibited." He added: "I wish her a speedy recovery, and perhaps a form of wisdom."